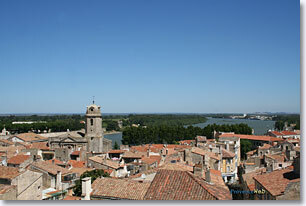 Departement of the Bouches du Rhone - Camargue - Population : 53.737 inh. 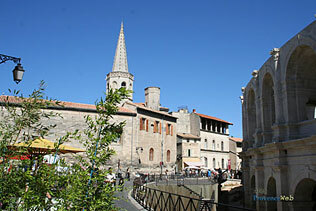 35km South of Avignon via the N570 and 90km from Marseille via the N568 and the A55. 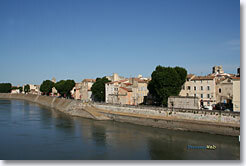 Arles is the largest city in France with the surface area being 758 km². It is encircled by an environment of exceptional beauty: the banks of the Rhône river, the arid plains of Crau, the untamed land of the and the . 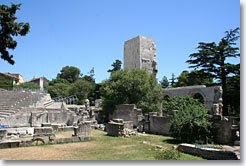 Once a metropolis of Roman Gaul, then Arles became a symbole of ardent Christianity as can be seen through the arena, the Alyscamps burial grounds, the amphitheater and the Roman baths of Constantin. 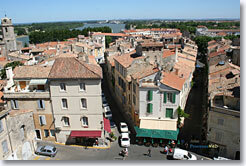 Arles is now the gateway to Camargue, pland of the Gypsies and meeting place of the Camargue cowboys. Today the ferias or bull runs and bull fights are held in this very same arena (12,000 seats) that was the scene of the Roman games in the first century ! 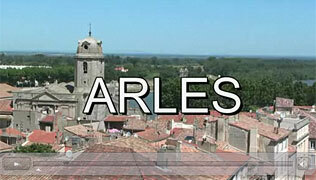 Arles is also a center of photography. Each summer the Rencontres Internationales de la Photographie brings many visitors. 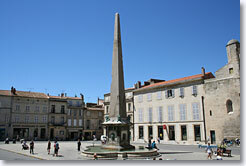 City of festivals, art, and culture, Arles has never stopped attracting artists. The Roman monuments of Aries are registered with Unesco and should be seen. The houses and private mansions of the 16th and 17th centuries, the cloister of St. Trophime, the Hôtel de Ville, and the shaded terraces of the Place des Lices are all well worth a tour. Roman baths of Constantin (4thc.). 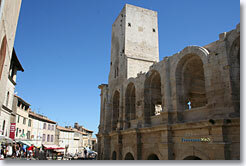 The Antique Arles museum (4th c. sarcophaguses) and Arlaten museum (furniture and traditional folk art). Ranches, horseback riding (9 schools). La Capelière (nature walk of Camargue). Van Gogh Tour. Gypsy mosaics. Fete des Gardians (Ma,y 1st). 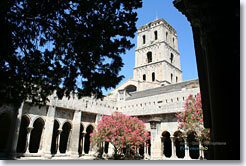 Fontvielle (15km), Tarascon (20 km) and Saintes Maries de la Mer (36 km).